Microlab is currently only searching for its vector at the wireless audio devices’ market. At different times we had absolutely different devices with Bluetooth at our editorial office: a multi-function bed-side Microlab MD310 BT, desk top two-component Microlab H30 BT. Today, we have received a device from new product line, Microlab T5, which is maximally similar to those compact systems which we usually test in our "Decorative Audio Devices" section. Stylish light and comfortable stereo headset designed with the latest Bluetooth technology. This device combines technical functionality with the brightness of non-standard design. Microlab T2 is ideal both for office workers, who value convenience and comfort, and music lovers aspiring to high quality sound. Buyer is association with Microlab brand is quite obvious and guessable. This is not surprising, as this brand has become one of the leading manufacturers of high quality and reliable multimedia acoustics for PC in the mid-2000s. Microlab SOLO9C – digital solo. New stereo system from the leading producer of PC acoustic systems is available for use with the huge variety of devices. This system may be plugged with several ways – 2RCA input, digital optical or coaxial input. The distinguishing feature of SOLO9C is the availability of HDMI (PCM). The technology of receiving the signal allows to receive not only sound but to retranslate video signal to the TV. find out, which one of Xmas heroes are you! and let your friends see, how cool you are! If you are looking for some game - here you go! Check the website www.pcgarage.ro, answer to a few questions about Microlab products and win a Microlab speaker. Post by Microlab Europe GmbH. We are more than happy to announce the final verdict of our contest run with our music partner Rapportal.pl where three of our awarded models stood for the awards: Microlab FC330, M880 and FC362W. Once more all music lovers, especially those of RAP enthusiasts, are invited to take part in our contest with attractive awards. We are happy to invite all music lovers, especially RAP enthusiasts, to our next contest with attractive awards to win. Contest with Chip.PL - win speakers from Microlab! And again we are pleased to announce our new contest on FB! 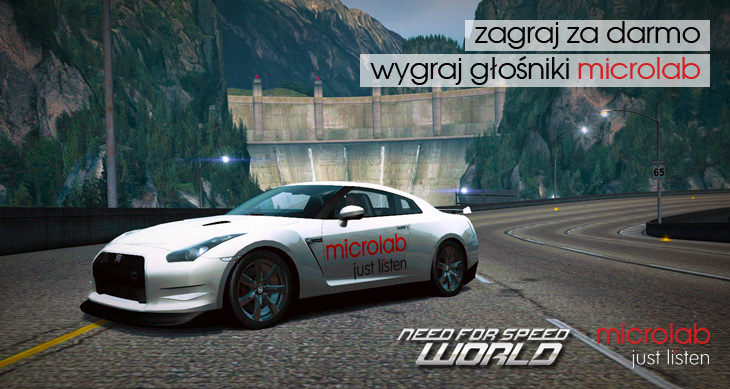 Need for Speed: play for free, win speakers from Microlab! For our customers and friends we extend our best wishes for holiday season! Starting November 26th, during 10 days, Microlab & PCGarage.ro have a radio campaign on Pro Fm, one of the most important Romanian radio station. You’re passionate about football? Microlab and Radio GSP reward you for passion for Football. During UEFA Euro 2012, you can win a Microlab speaker set, B18.